As the World Series of Poker heads to Paris this week we look back at some of the most memorable WSOPE moments in the event's short history. 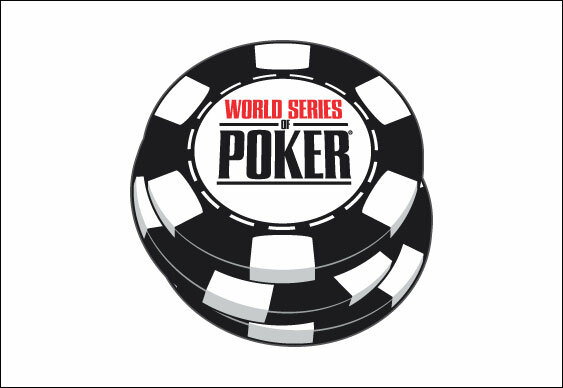 The WSOP first crossed the Atlantic in 2007 with many of the poker world's most famous names heading to the Empire in London for the inaugural series. Who would provide the event's biggest story - Phil Hellmuth, Daniel Negreanu, Doyle Brunson, Gus Hansen? No, it would be an unknown 18-year-old Norwegian called Annette Obrestad who walked away with the first WSOPE Main Event bracelet and a £1 million first prize. If there was fan poll to choose the most popular winner of a tournament as big as the WSOPE Main Event then the chances are that Daniel Negreanu would be somewhere near the top of the list. That tantalising possibility looked like becoming a reality in 2009 with Kid Poker just one card away from victory. The fickle finger of fate had other ideas though with Jeff Shulman hitting his two outer to take control of the match and subsequently the title. Love him or loathe him you certainly can't ignore Phil Hellmuth. That has certainly been the case at the World Series of Poker Europe both on and off the felt. We'll come to his performances at the tables a little later but first we'll take a look at his grand tournament entrances. There were the Lady Gagas, the troupe of Hellmuth lookalikes and of course a Julius Caesar inspired arrival. It was more Carry On Cleo than Gladiator and we can only imagine what the bemused Leicester Square tourists made of it all. Antonio Esfandiari became the biggest winner in tournament history after taking down the massive Big One For One Drop event in 2012. While a score of €126,207 maybe peanuts compared to his $18m One Drop payday, the second bracelet of the year in the WSOPE €1,100 NLHE event cemented Esfandiari's credentials as a fine tournament player. By 2012, many online railbirds considered Phil Hellmuth one of poker's yesterday's men, his tight style rendered redundant by the aggro merchants terrorising the game. The Brat put the young uns in their place by winning the $2,500 seven-card Razz event in Vegas and showed that bracelet number 12 was no fluke by adding number 13, in the WSOPE Main Event no less. A bit like the latter days of Steve Davis's snooker career, Hellmuth went from being the man the fan's loved to hate to the one they were secretly rooting for. Two notable names were scrubbed off the list of the best players never to have won a World Series of Poker event in 2010 with both Phil Laak and Gus Hansen winning their first bracelets. The Unabomber took down the £2,650 Six Max Event with Gus claiming the £10,350 Heads Up High Roller.